In July 2013, I began my cadetship at Deloitte in Deloitte Private’s Audit division. I was told that it would be an amazing opportunity and privilege to receive such an offer as many penultimate students would have wished to have taken advantage of opportunities like this back in high school and during their first year of university. The problem is who knows what they want to do after enrolling in their degree? Have we set our goal and already have in mind what it is that we want to do? Or was this just the degree the safer and more secure option? All these queries have made me hesitant about my choice. 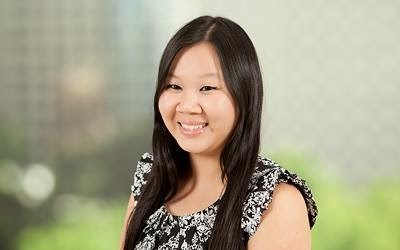 Hi, my name is Vicki, and I’m studying a Bachelor of Commerce, majoring in Accounting. As for my second major, I am still undecided. The struggles I am facing with undertaking this cadetship include all the sacrifices and time commitments. There are difficult expectations to meet at times, including the tight deadlines to meet, especially during the “busy season” as well as the lack of spare time for socialising and struggling to choose a second major. I began working with Deloitte at the start of this “busy season”. Post financial year end is a tough time for auditors, so I was quite overwhelmed when I was thrown straight into the deep end. Only having one day to attend classes makes it difficult to fit in all the lectures and tutorials; not to mention PASS classes. Whether we have part-time or full-time work commitments, I’m sure that some of us would have had to skip at least one class throughout our degree. With this in mind, I have been considering my options for a second major; one that I can squeeze into my one-day timetable along with my Accounting major. Since I’m nearing the end of my second year, I would appreciate any suggestions on this. Despite all the time sacrifices, I do not regret any of the choices I’ve made. Working at Deloitte has been one of the toughest but enriching opportunities that I’m glad to have been given. This opportunity has allowed me to gain opportunities that other students may not have been able to receive. For example, I’ve travelled interstate for work. In fact, I flew down to Wagga Wagga on my second week on the job. Due to the deadlines and late hours I’ve experienced through working as a cadet, I've slowly adapted to becoming more organised. I am managing my time a lot better, and I am pleased that some of my grades have been increasing. I suppose applying what I’ve learnt from the workplace to my classes at USYD has helped. Plus, I don’t have the burden of competing with every other student who is attempting to secure a graduate job or internship. Even though it may appear that I’ve locked myself into a life of audit, I’ve slowly realised that this isn’t anything like the past. Everyday people change careers; everyday people change their minds about what they’re passionate about. At the end of this cadetship who knows, maybe I’ll decide that I’ve had enough of it, and try something different. I might even study a postgarduate degree and get another job, or maybe I’ll stick with it. Overall, this cadetship has had its ups and downs, just like any other opportunity in life.